← Celebrate Earth Day With Us! It’s almost the weekend and you know what that means…it’s time for another Weekend Bonus Sale! 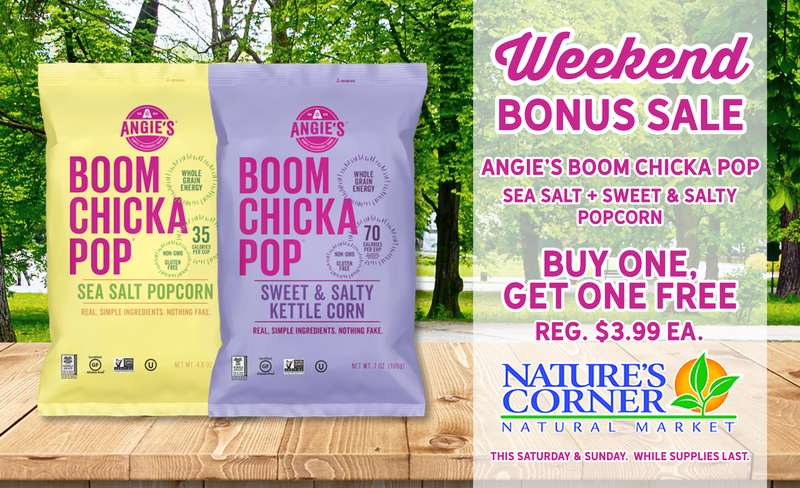 This weekend, Saturday, April 14th – Sunday, April 15th, Angie’s Boom Chicka Pop Sea Salt and Sweet & Salty Popcorn will be Buy One, Get One FREE!